ProtonVPN Free: Is It Trustworthy? ProtonVPN: IP leak test and speed test results. Today there is hardly a person who hasn’t heard about a VPN technology. VPN providers are extremely useful in non-democratic countries. They help people to get past geo-blocking and gain freedom of speech. For this reason, people try to choose the most trustworthy and best VPN for their needs. 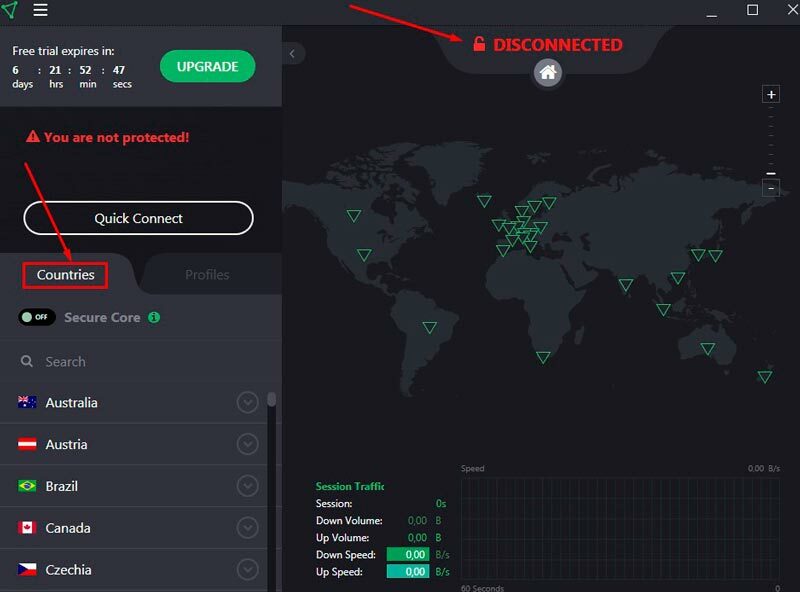 I will give you a review on ProtonVPN and show that free VPNs can be trustworthy as well as paid ones. As many other VPN services, ProtonVPN provides its customers with several plans. One of them is free. However, it is a limited version of paid tariffs. 7-day free trial. 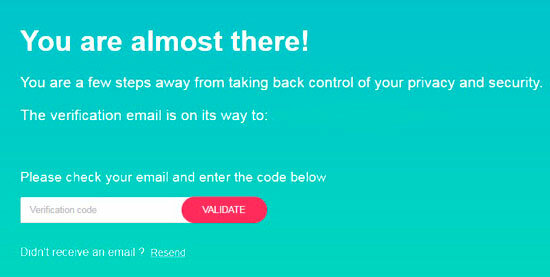 As soon as you successfully connect to any of free servers, you will receive a free trial. It means that you can get access to the all ProtonVPN servers. 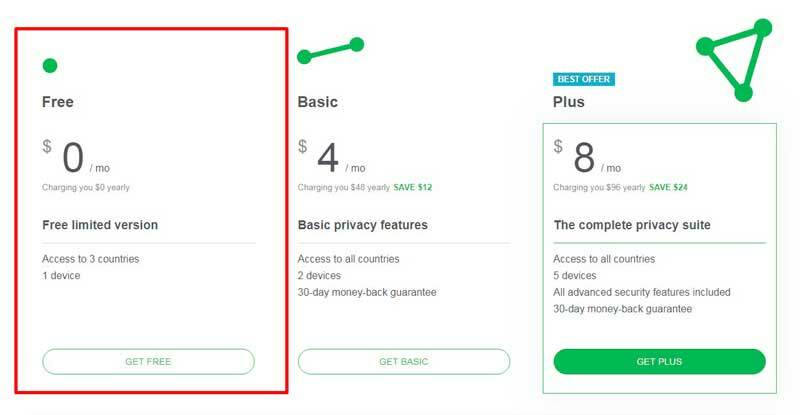 Step 1: Select the free plan. 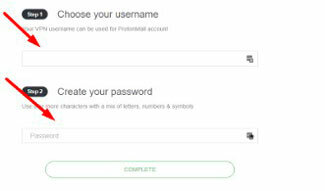 Step 3: Create your username and password. Step 4: Download software on your device. I won’t describe the installation process because it is a cakewalk. You just have to follow the steps of the setup panel. After the successful installation, you’re to fill in your password and username again. To connect to ProtonVPN servers, select a country first. OK, now I have the software on Windows. And you may wonder, is ProtonVPN safe? ProtonVPN is cross-platform software. It is available on Mac, PC, mobile devices or even a router. 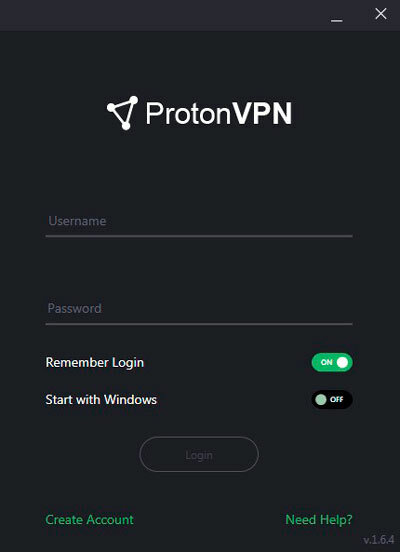 If you want to install ProtonVPN on Windows, it’s better t to download a convenient app. For MacOS, iOS or Android OpenVPN client is needed. I almost forgot, ProtonVPN runs on Linux as well. However, you will have to use the command-line tool. 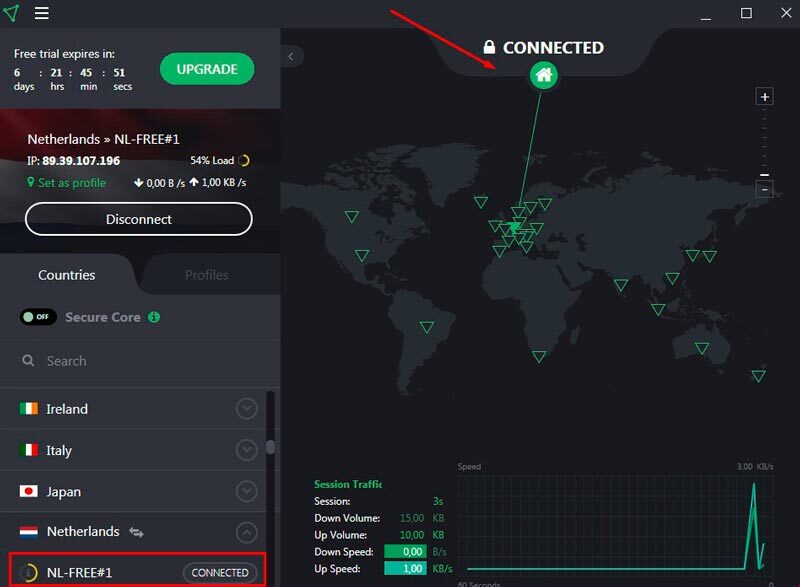 The feature will give you a possibility to switch ProtonVPN servers easier and faster. So, I’ve promised to show you that free VPNs can be robust. Let’s have a look what encryption ProtonVPN uses. On the official website, the developers claim that ProtonVPN offers the highest strength encryption. You shouldn’t worry about data leakage while using ProtonVPN, it supports military-grade AES-256 encryption. Moreover, ProtonVPN supports 2048-bit RSA and HMAC with SHA256 to protect your data. ProtonVPN uses OpenVPN protocol. It is the most reliable protocol for VPNs today. It means that all your data will be reliably encrypted and hidden from any third-party. ProtonVPN owns 315 servers in more than 25 countries. However, with the free plan only 5 servers in 3 countries (the Netherlands, the USA, Japan) are available. As soon as I’ve connected to the Netherlands server, I checked VPN for IP leaks and speeds. Undoubtedly, speeds are the weak side of free ProtonVPN servers. However, if you need a VPN just for anonymous surfing, but not for downloading or watching movies online, you’ll be satisfied with the speeds of free ProtonVPN servers. 1. Kill Switch. This feature is extremely useful. There is always a risk that a VPN server will disconnect because of some error or technical issue. For its part, a Kill Switch will shut down an Internet connection, preventing your data from leakage. 2. DNS Leak Prevention. ProtonVPN routs your DNS queries via the encrypted tunnel, hiding it from third-party DNS providers and preventing leaks. 3. No logs policy. I think that every cautious user is looking for a VPN with a strict no-logging policy. Clearly, we can’t rely on a provider that keeps info about us. Luckily, ProtonVPN doesn’t save any of your connection logs. 4. User-friendly interface. As you have seen from my screenshots of the ProtonVPN app for Windows, the software is extremely simple, intuitive and convenient. You don’t have to be a technically-advanced user to download and install it on your device. 5. ProtonVPN Support. You can find a lot of information about issues on the official website of the provider. Moreover, you can send a request to ProtonVPN support team or write them an e-mail with your questions. I think, I’ve proven that even the free version of ProtonVPN is trustworthy and can make your Internet connectivity secure and safe. The provider uses only up-to-date encryption and protocols. ProtonVPN is based in Switzerland. It is crucial, as this country is out of “14 Eyes”. ProtonVPN free plan gives you a choice among servers in the Netherlands, Japan and, what is important, the USA. It means you can unblock Netflix and Popcorn Time. The only disadvantage that was revealed to me is the low speeds of ProtonVPN free servers. Don’t forget to leave comments for cooltechzone.com. We are looking forward to your opinion!